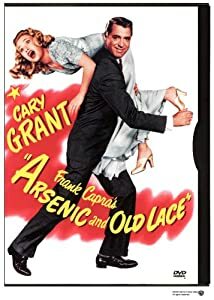 1944 classic starring Cary Grant. This is slapstick comedy at its best, I was smiling the whole way through. The plot really is far-fetched, but the super quality acting and split-second timing carries this glorious farce through to the end. 1964 German fairytale which was serialised on UK television. This is the full length film with either English sub-titles or voice-over (we watched with the voice-over). 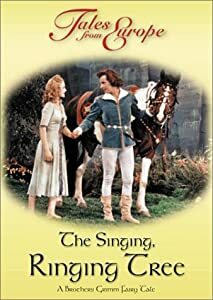 This is a fascinating quirky film with the most horrid dwarf, and of course a prince and princess. A wonderful film with a moral to tell. Buy these and other recommendations through my British amazon.co.uk store, or American amazon.com store. Enjoy! This week I've also added a couple of my favourite Elizabeth Taylor films. For more vintage gems go to the The British Film Institute's website. They're showing 'The Disney 50', from January-December 2011, all 50 Disney animated features. Fantastic for the Easter holidays. Oh well, my 13-year-old son still prefers Iron Man 2!! I just read that Elizabeth Taylor has died. Who could forget her brilliant performances in Cat on a Hot Tin Roof and Giant, and of course her inimitable glamour. RIP Elizabeth. Great post from Fashion Editor at Large. ﻿Our #fairtrade stock from India has just arrived. and fair trade organic cotton Indian horses in 3 sizes, and 3 colours, hand embroidered with silver bridles, these horses are just soooo cute! As Fairtrade Fortnight draws to a close, I would like to showcase one of my favourite fair trade fashion retailers. From their early beginnings in Japan is now celebrating 10 years of fair trade in the UK. The gorgeous designs at People Tree reflect the latest fashion trends. However, unlike conventional fashion, the company is 100% fair trade, supporting communities and helping farmers and artisans live a quality life. 2010 saw Emma Watson as the trailblazer for People Tree, designing and modelling her own collection, and 2011 sees her second collection. Also in the Spring 2011 catalogue are the beautiful garments made in collaboration with print house Laura Ashley. Fabulous. "It's how you accessorise things, because you really can wear anything - it's just all in the way you put it together", advice from Biba founder Barbara Hulanicki on wearing a timeless look. Love her new collection from George at Asda. This is not the more expensive 'House of Fraser' range, but Biba's collection designed by Barbara Hulanicki herself. 'Cheap and cheerful' as Biba was always meant to be. I bought the fabulous Lurex Waterfall Cardigan, it's beautiful and you definitely get your money's worth.